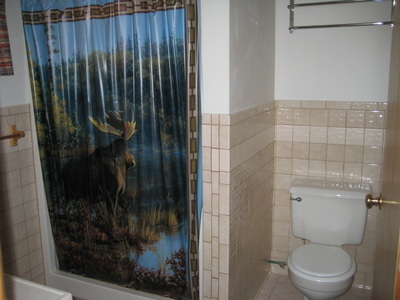 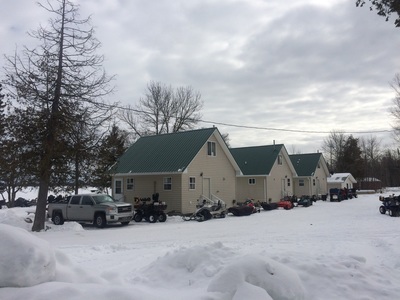 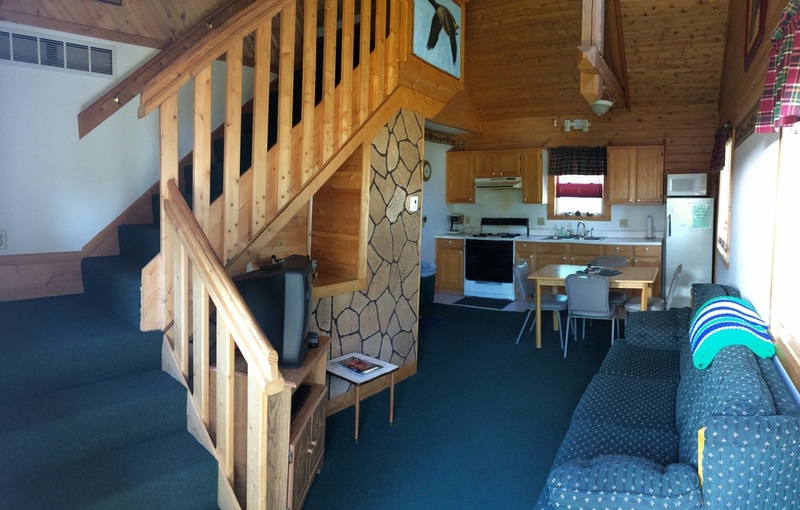 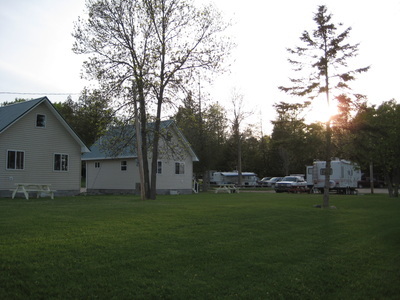 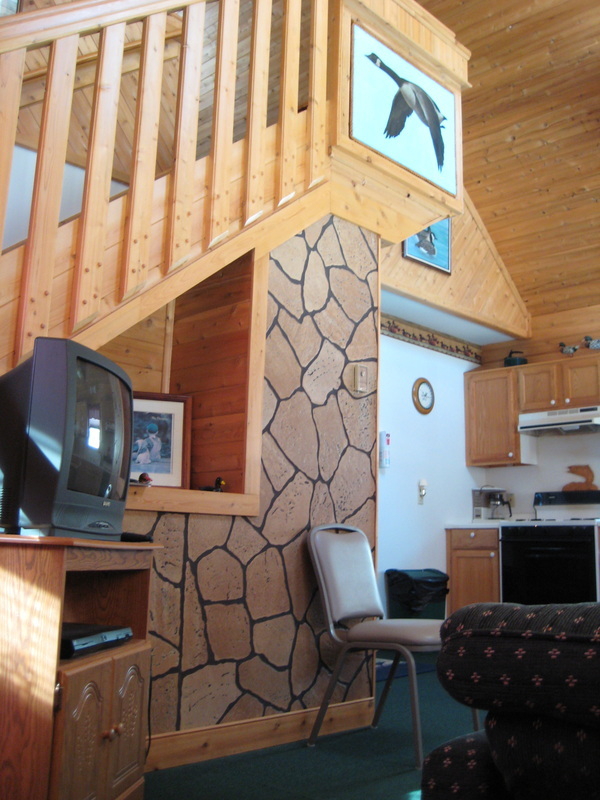 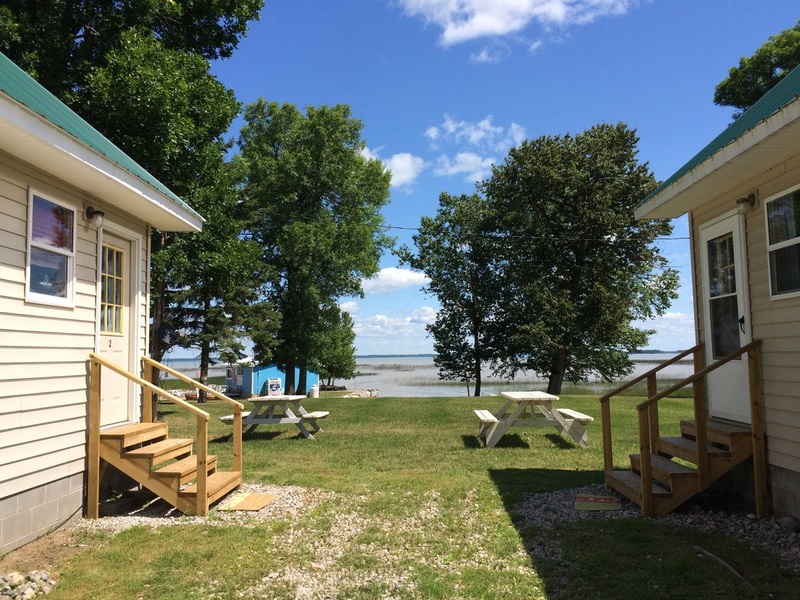 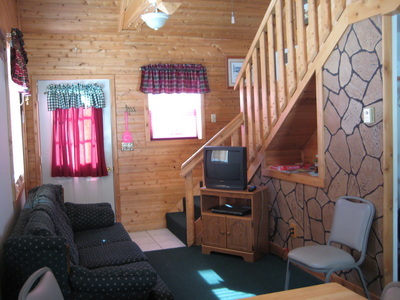 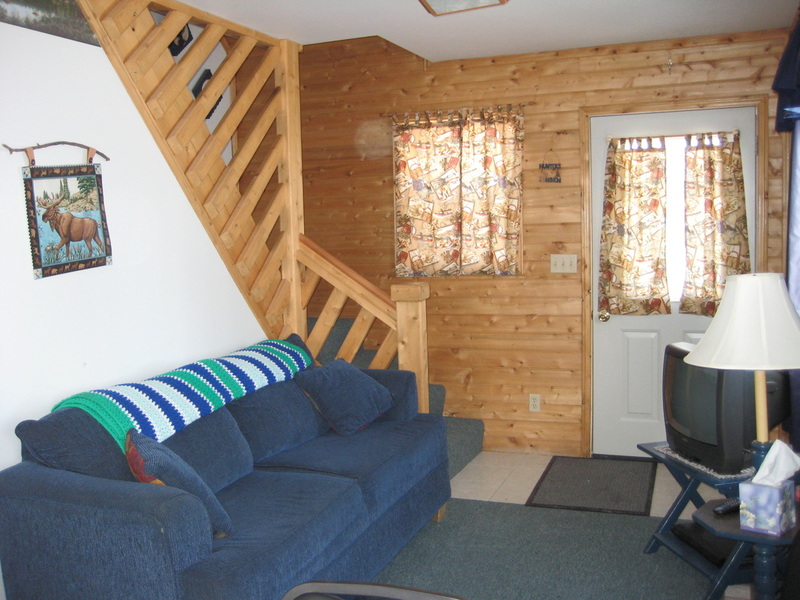 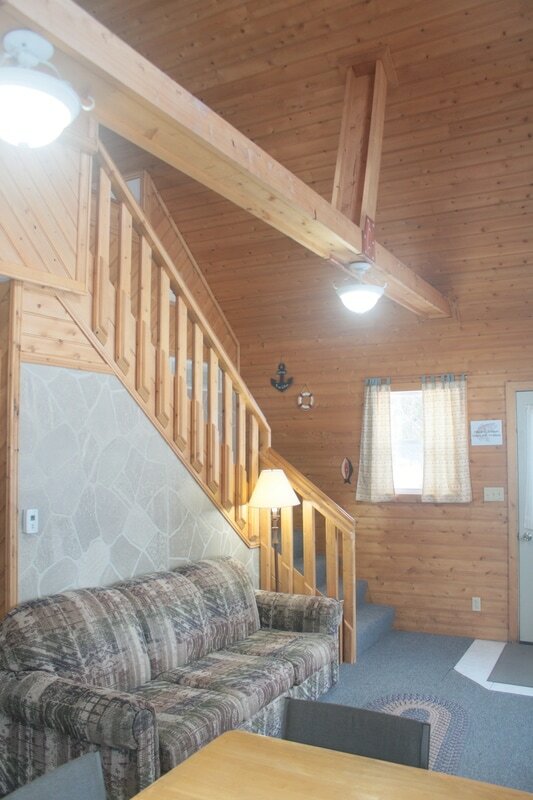 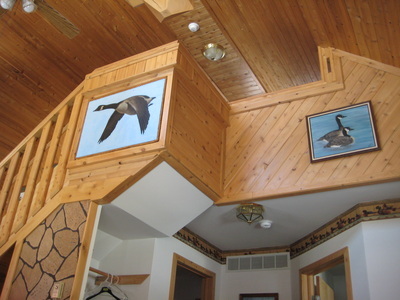 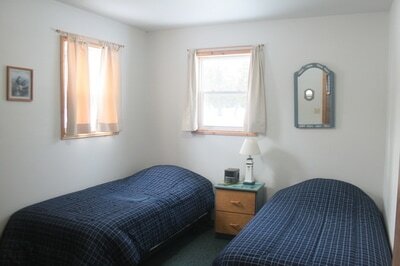 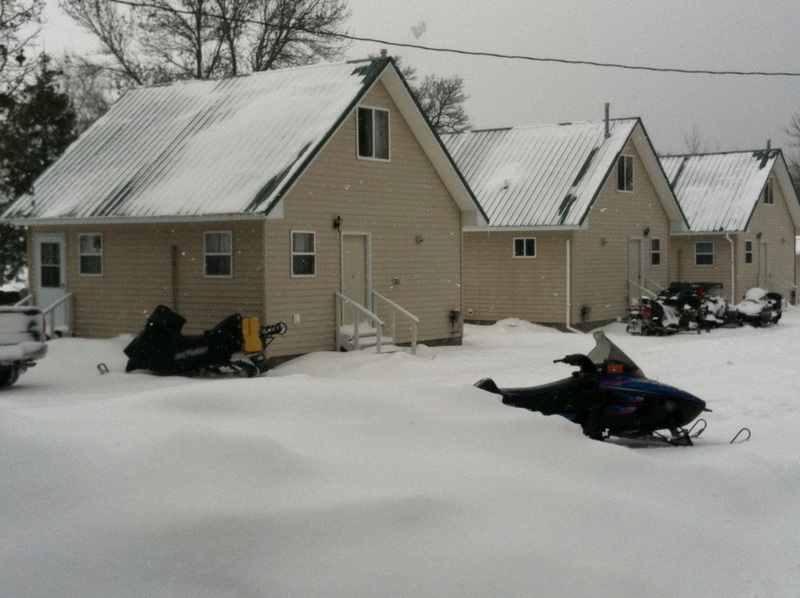 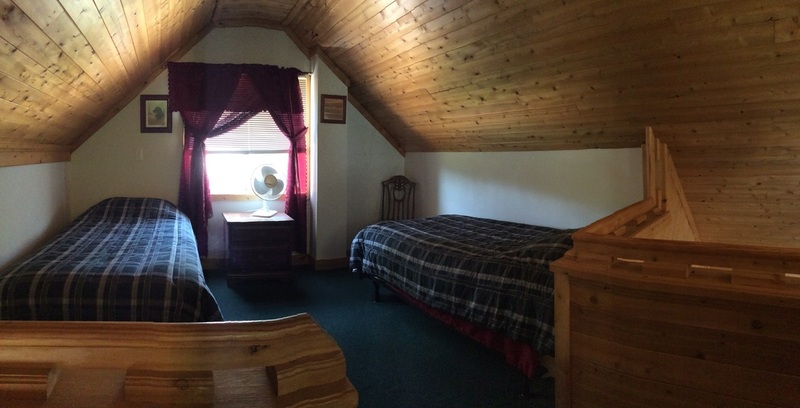 Cabin rentals offered on a weekly or daily basis. 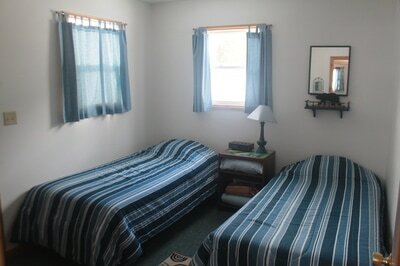 Each cabin can sleep 4-6 people and has 2 or 3 bedrooms each with twin beds. One cabin has a double bed. 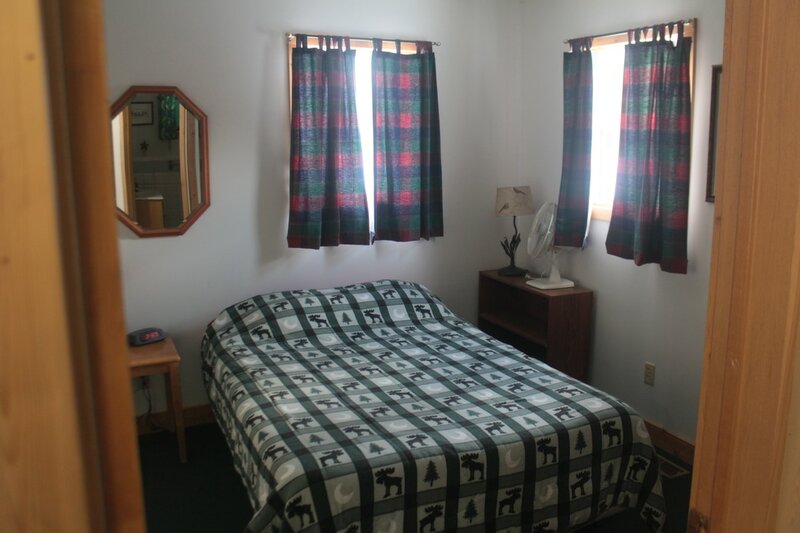 All bed linens are provided. 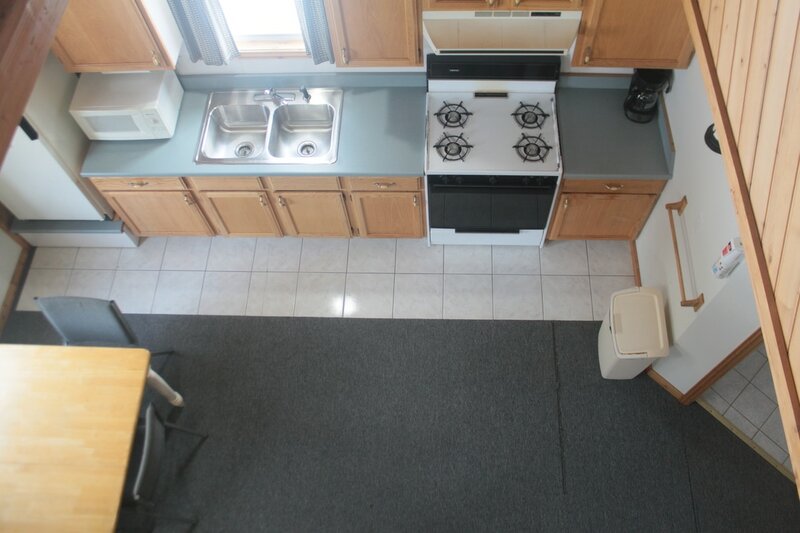 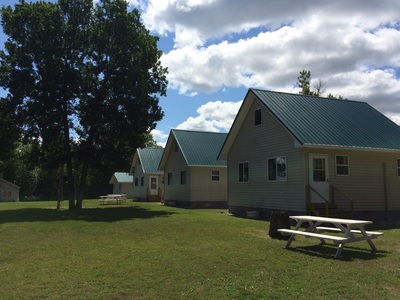 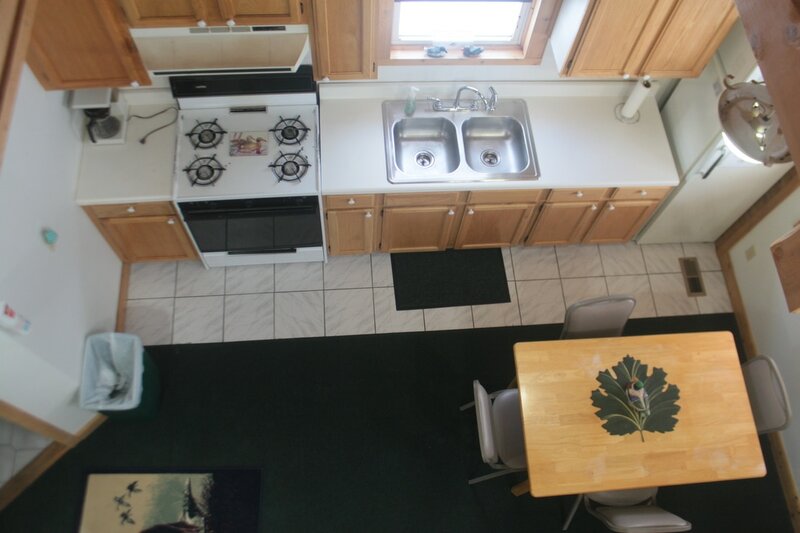 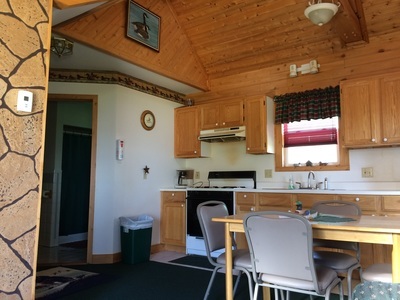 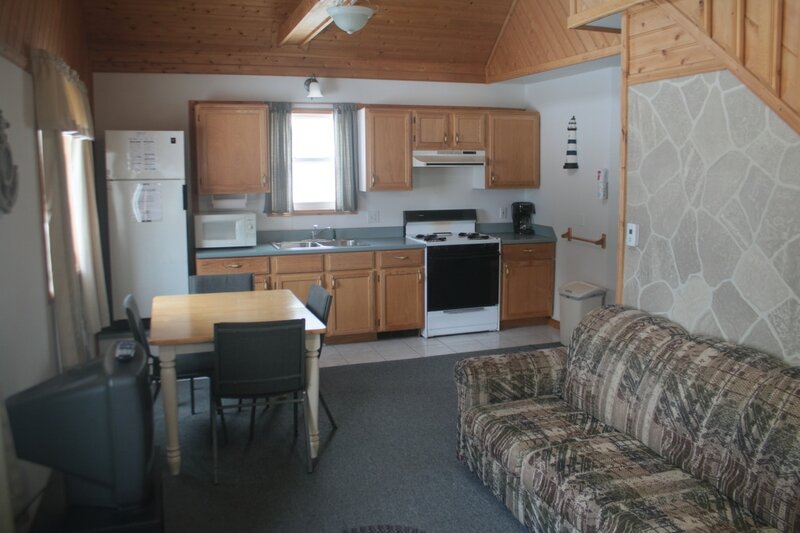 Each cabins contains a full kitchen equipped with a microwave, oven, and refrigerator. 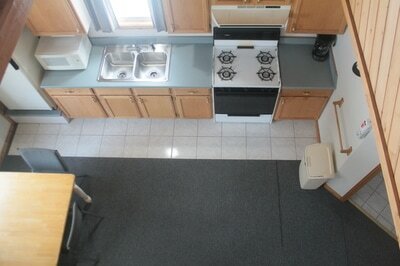 Coffee pot, toaster, pots, pans, dishes, and utensils are all provided. 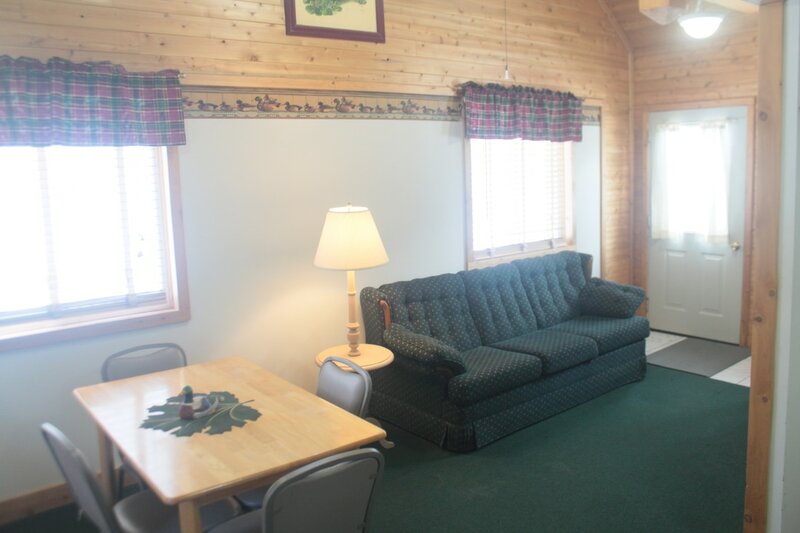 Each cabin has a full size couch, and chairs. Reading lamps, end tables, and magazines are also furnished. 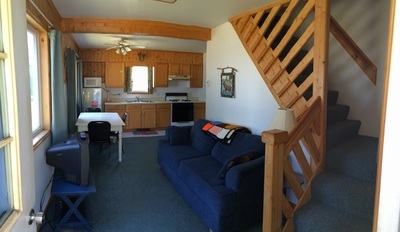 Satellite T.V. 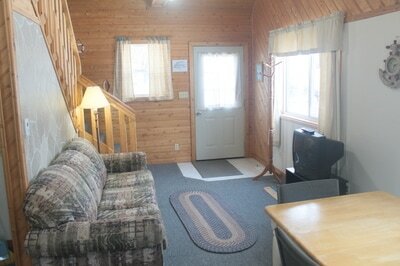 and local channels are readily available. Check-in 2:00 p.m. | Check-out 11:00 a.m.
No pets are allowed inside the cabins. 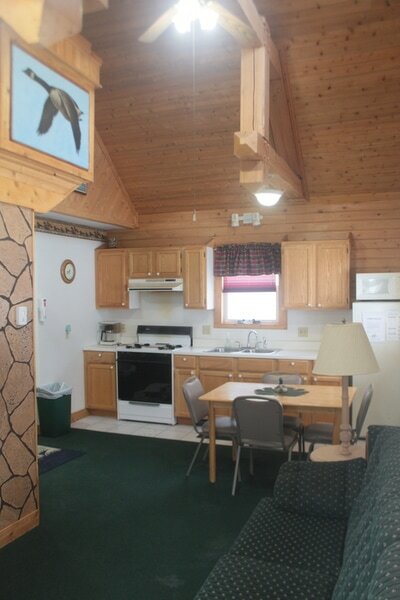 Fish and game cleaning is not allowed inside the cabins. 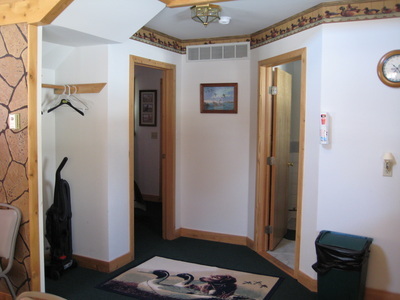 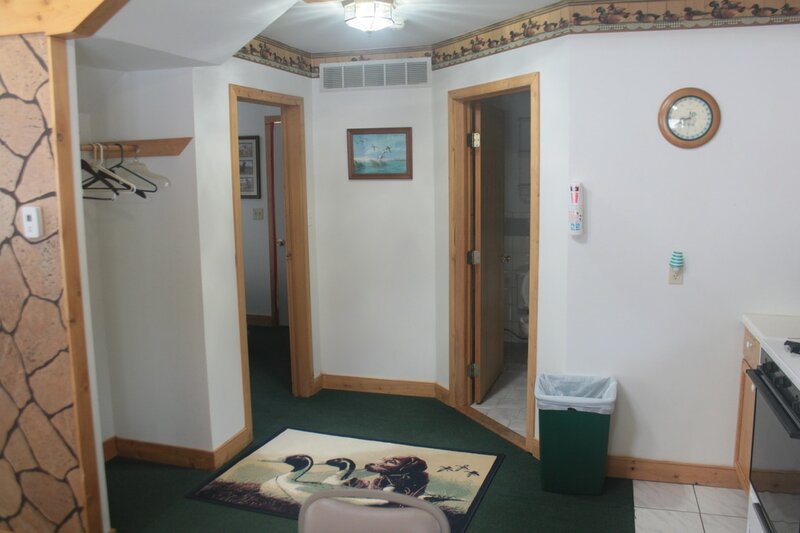 We kindly ask that you use our fully equipped fish/game cleaning station located next to the marina.